Built by popular demand. 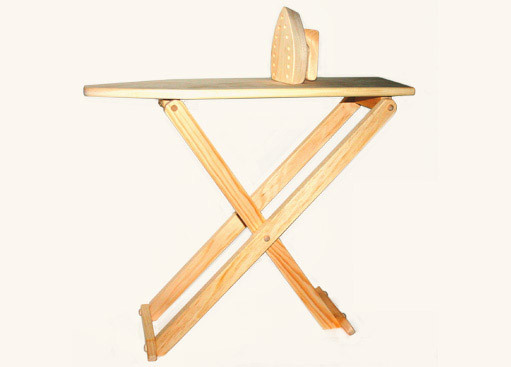 The collapsible ironing board and iron keep the fun going while your kids keep growing. 7" x 26" tapered board surface. Stands 22" tall. Folds down to 3" flat for easy storage on a closet door or under the bed. 22" x 26" x 7"